The aroma drifting through my house is a calling card for greatness. The top chefs claim this victory and on occasion, I rank among them. I can also cook an award-winning dinner. The dinner where no one complains. The dinner where everyone is so content with their meal that I can finish mine without interruption. This isn’t a dream. It doesn’t involve cake; it is actually a real healthy, gluten free, dairy free, tasty meal everyone enjoys even my child that enjoys nothing. He enjoys this! Why? Why is this the meal he eats? The one he can’t get enough of. The one that seconds and thirds are requested. 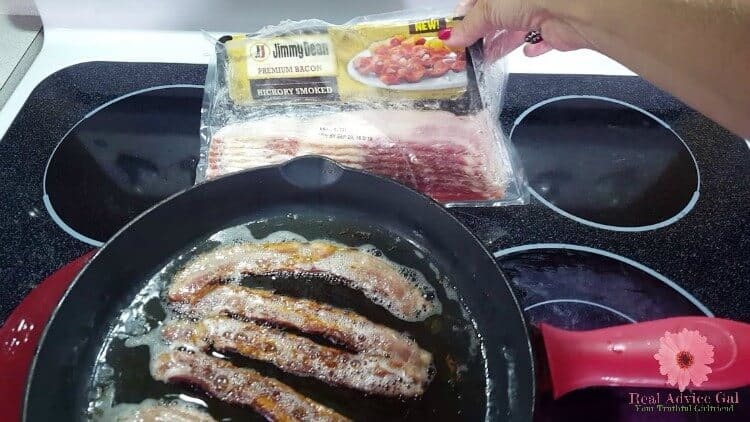 Jimmy Dean® Bacon is the reason. The bacon adds the right flavor to the meal. 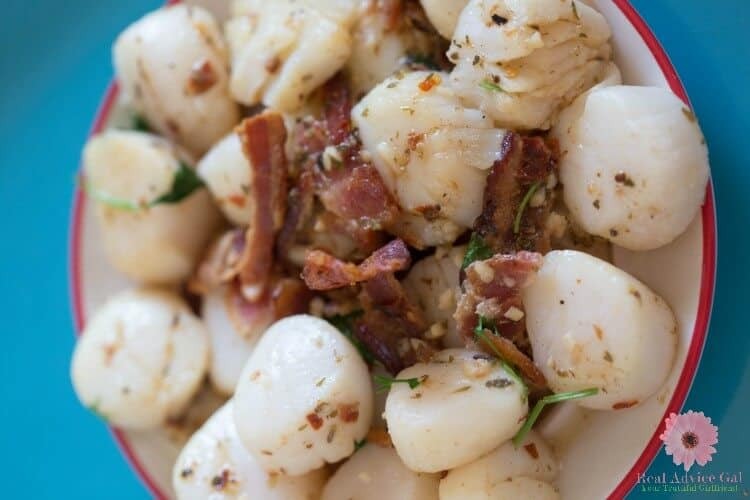 It adds that salty sweet that brings my scallops from good to “OH, MY GOSH.” These scallops are powerful enough to satisfy the toughest critic and easy enough for anyone to whip up in minutes. 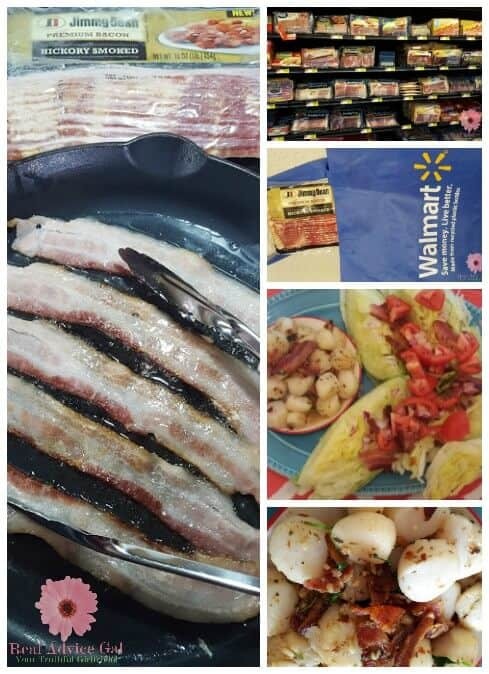 The best part is Jimmy Dean® Bacon in both the Hickory Smoked flavor and the Applewood smoked are available at your local Walmart. The even better news is this recipe only requires 5 pieces. 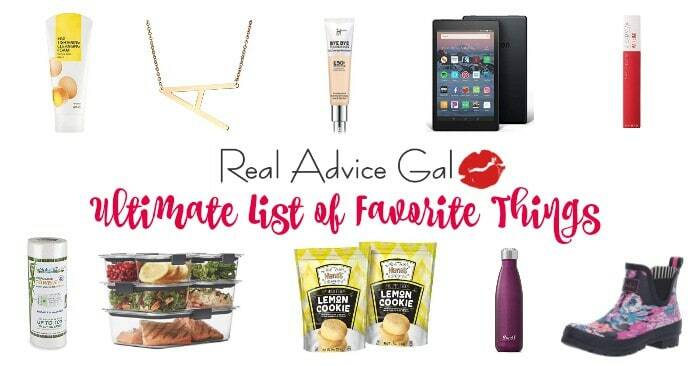 I do suggest you cook up the rest to make a Jimmy Dean® meal that is both healthy and unforgettable. This was my menu plan for the evening it is both gluten and dairy free. It is simple, and it was fantastic. 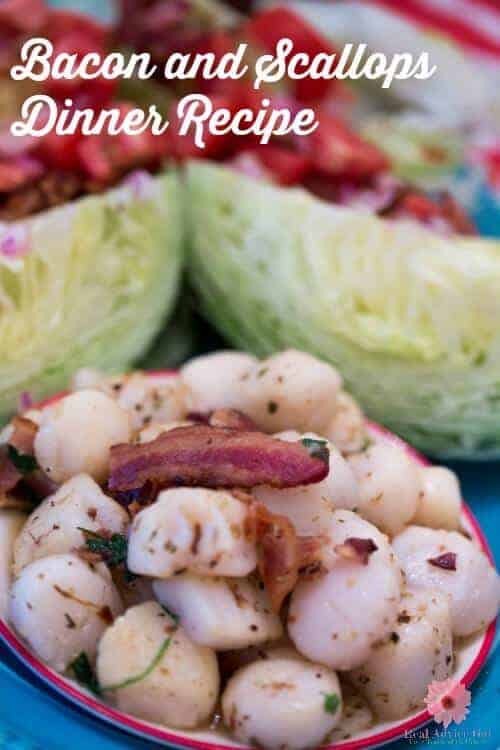 I did a wedge salad topped with bacon, scallops with bacon, and for dessert a date wrapped in bacon! Yes, I did all that with one packet of Jimmy Dean® bacon. The first thing you will need to do is cook the bacon on medium heat until it is cooked. You will turn it, so it browns evenly on both sides. Then place the bacon once it is cooked on a plate. You do not need to worry about the grease it adds to the flavor of the scallops. Then you will need to empty almost all the bacon grease out of the skillet. I leave a little in there lining the pan for flavor. You will begin to brown the scallops on medium heat on the stove. 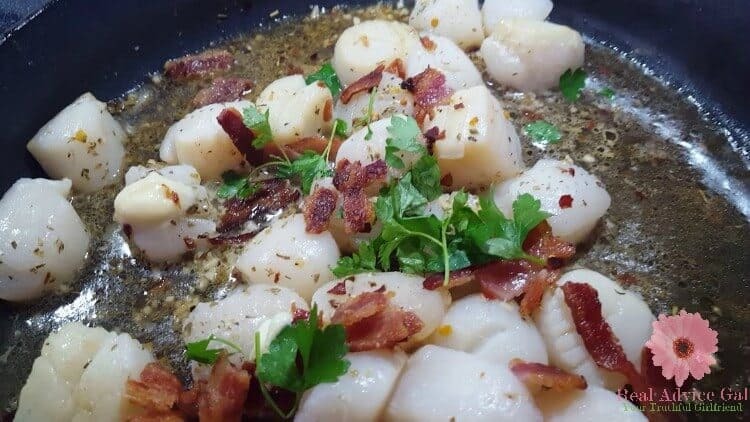 When you are browning the scallops add everything above except the parsley and the bacon. These should all be in the skillet. Once the scallops are almost done then add in your parsley and your bacon. I leave one piece of bacon out to garnish the top of my meal. 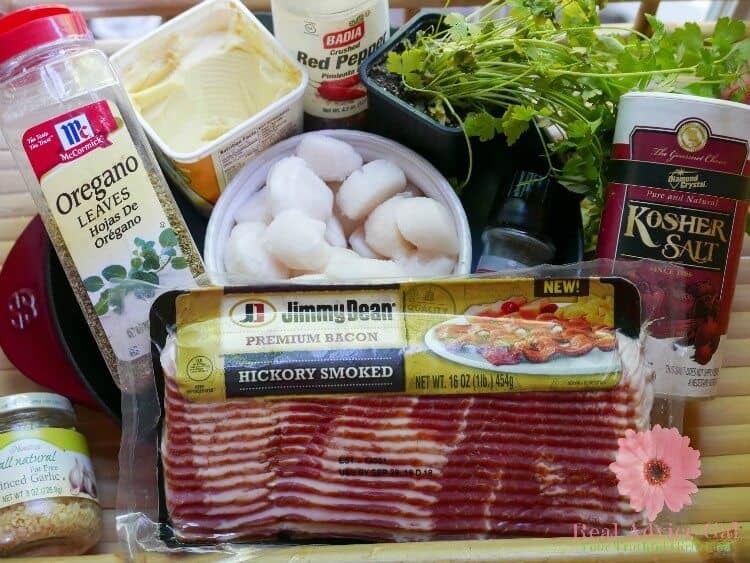 If you use a premium ingredient like Jimmy Dean® bacon you too can be a gourmet chef that can stop the complaining with a great meal.